Hi everyone, Happy Sunday. Lately, my Instagram feed has been taken over by manicures where the end result has been achieved using Nail Vinyl's. I love the idea of it, but somehow if you don't have these Nail Vinyl's your end result is not going to look as professional or precise. 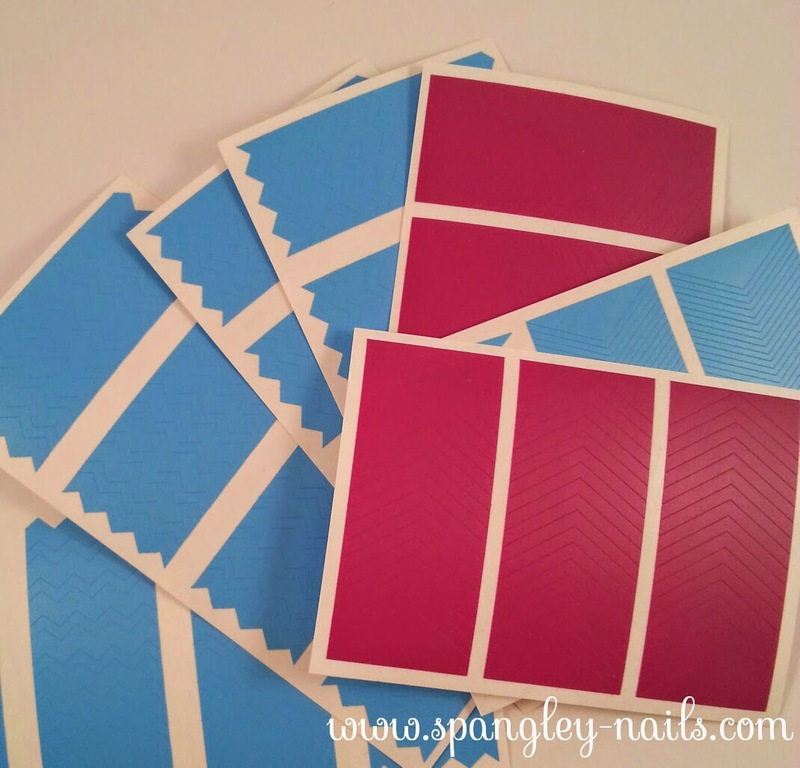 Let me explain, Nail Vinyl's are small, pre-cut stickers for your nails and they come in loads of different shapes, patterns and sizes. The most popular ones, however, being chevron and single chevrons. Of course, there are ways to create "Home-Made" vinyl's, which I tried, but really - you're only kidding yourself. When I try these methods, somehow, they never end up uniform. I knew I would have to give in to purchasing Nail Vinyl's at some point and it seemed after my tried, tested and failed home methods was a good point to start! I thought that there was only one supplier of Nail Vinyl's around - oh how wrong I was. I stumbled across She-Sells-Seashells whilst browsing Instagram one day and assumed it was a rhinestone shop - wrong again! This company is based in the UK and produces Nail Vinyl's/Stickers in LOADS of different shapes and sizes. Before I knew it, my mouse button clicked "Purchase"... I've never looked back. I ordered some thin single chevrons & some larger singles too, I also picked up a mixture of different sized chevrons and look how it arrived - do you not think this is beautiful? I do! Full review continues after the jump. I've done a couple of designs with the vinyl's to show you just how amazing they are and how easy they are to use. They come off the sheet very easily, and are sufficiently sticky without removing any of your base coat polish when you lift them up. This manicure was done using the thin chevron Nail Vinyl's. 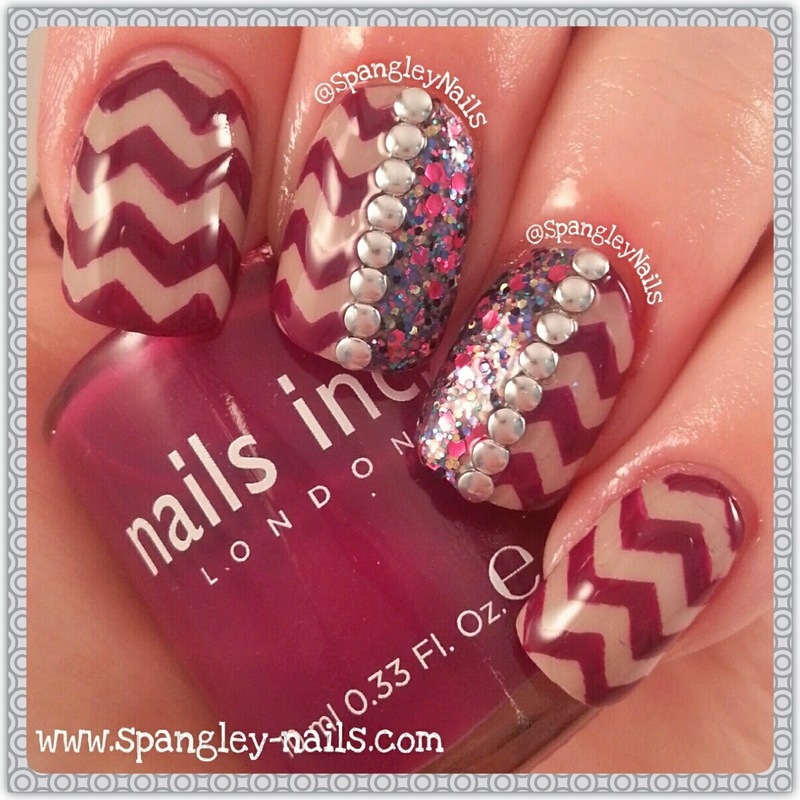 This manicure was done using one thin single chevron and one large single chevron. If you're a regular here, you'll have seen this manicure from 2 weeks ago that was Great Gatsby inspired, this look was achieved with She-Sells-Seashells Nail Vinyl's. (If you missed the post, you can catch up here). I cannot begin to tell you how much of an investment these are to any Nail Polish enthusiast. This is the best bit - you can get up to 102 chevrons or single chevrons for £1!! Can you believe that?!?! It costs me more to ride the bus! This is one of the reasons I went trigger happy. 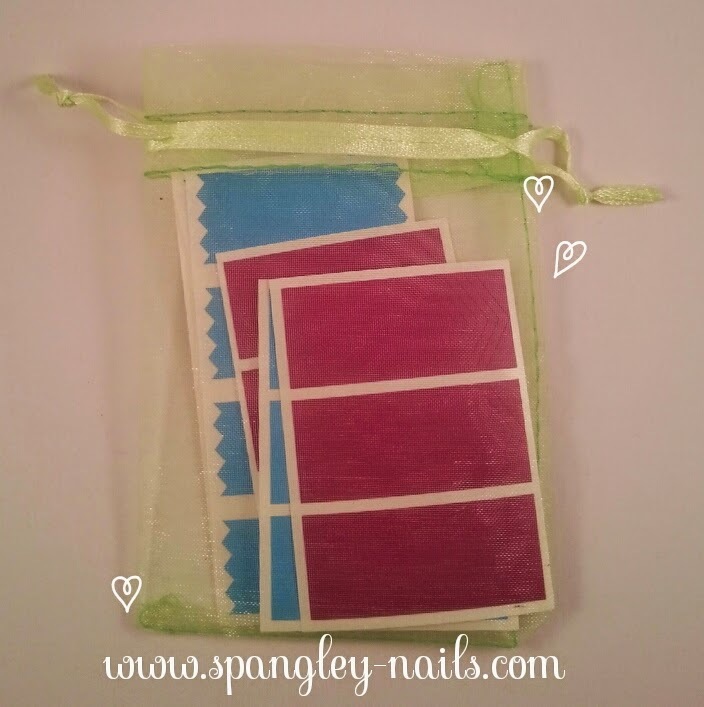 You can buy the stickers by clicking here, you can also have a look around the website - loads of amazing Nail Art supplies and most of them are under £5. Make sure you check She-Sells-Seashells out on Facebook, Instagram and Twitter too. Really informative, thanks so much. mrs P!